I’ve been following your blog recently and love this #ownitcampaign. I have to be honest, at first I thought it was just stories of fit people having trouble and, being overweight and unable to really get down and fix it right now, I was hesitant to follow. 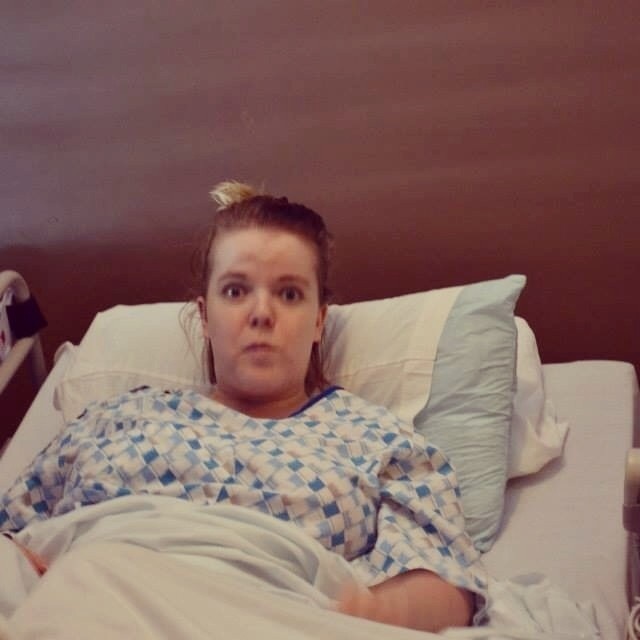 A year ago, December 2012, I was hit by a car while crossing the street in a crosswalk. My 2013 year was.. Well, I went to hell and back. I lost my ability to walk and function as humans should. For so long, it was hard for me to talk about let alone think about what happened. I had to learn to walk again. I had to depend on others, which is not my strong suit. I had to learn patience, my other not so strong suit. I went through a year of surgery after surgery, being bed ridden for a good half the year. I suffer from nerve damage and drop foot in my right leg/foot. My countless doctors would find problem after problem during each surgery. Let’s just say, my legs have been butchered with giant scars as the result. One of my biggest, and current, struggles is realizing this wasn’t my fault. The driver was texting and I was in a crosswalk. None of this is my fault. When suffering through recoveries, it’s hard to remember that. I had to learn to channel my anger as well. My loving husband became my venting/yelling at board. Thank God for him. My big #ownit moment came the other day. My legs are covered in long, brutal scars. I’ve never been a fan of wearing shorts, especially with this extra weight, but thought I’d try some on since the weather is getting nicer. As I looked in the mirror, I saw my scars. I stood there, staring for a bit, when a large feeling of pride came over me. 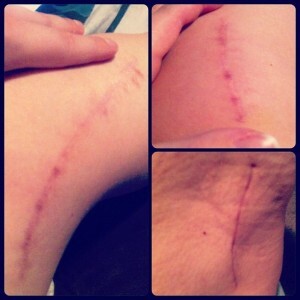 These are my scars. My witness that I lived through a horrific accident that should have killed me. That I’m walking, standing, turning. I lived. I fought. My message is to those who have suffered through any horrific incident that they have no control over. This World is vast and accidents happen. Fight to survive. Fight to be tougher for those around you. Fight for you. Thank you Natalie. Thank you for sharing your life with strangers. 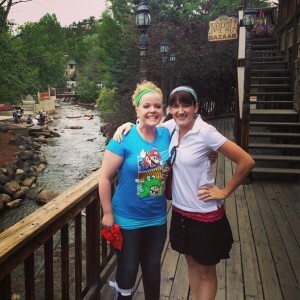 You’re a wonderful, kind-hearted person who is helping people like me continue on with hope. This was before my final surgery. Left pic: scar on my right knee/thigh/calf. Right top: smaller scar on right knee. 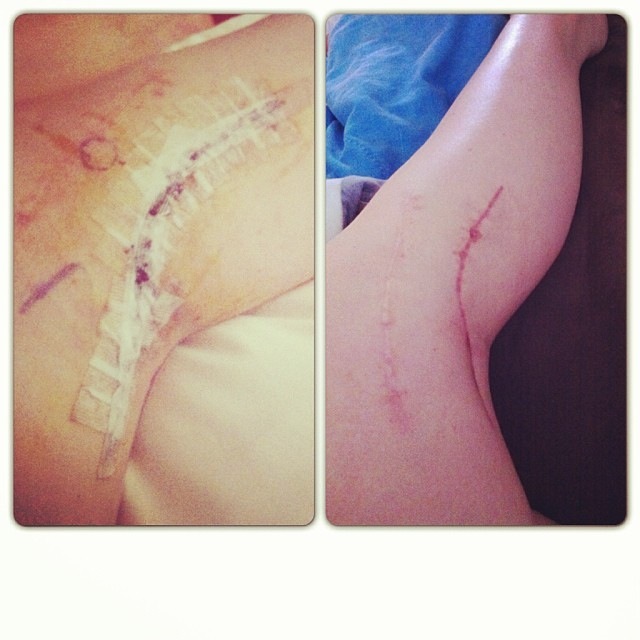 Right bottom: scar and dent from hematoma/tumor(randomly found during surgery for hematoma) on left upper thigh. Me in the hospital. I dislike this pic but it shows my good spirits I tried to have. 🙂 And I wouldn’t let my hubs take any pics of me during all this. He snuck this one in. 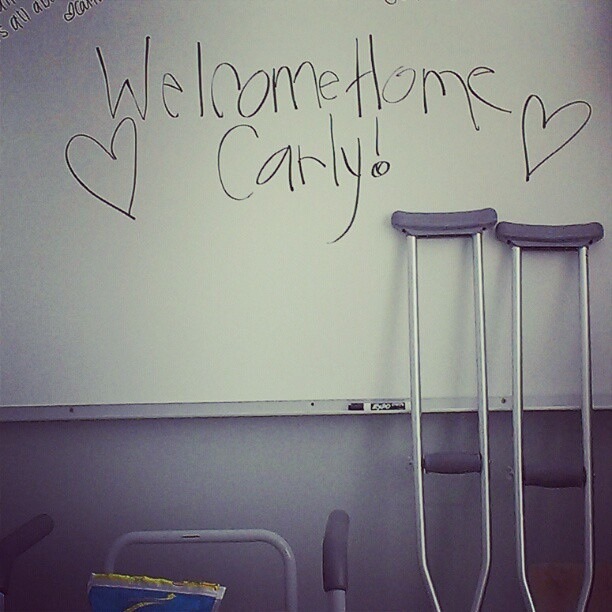 My wonderful family taking me in during recovery. I would have been lost without them. Last pic, I promise. 🙂 My BFF and I, shopping. That leg brace was a lifesaver. This is just to show I am walking and will never stop shopping. Update: I no longer need that leg brace! Miracles are real. The #OwnIt Campaign shares encouraging stories of people who are ‘owning’ their stories. It can be body-image related, personal-history related, or any personal struggle you have ‘owned’ and gained confidence from that action. You can read more about the campaign by clicking here. 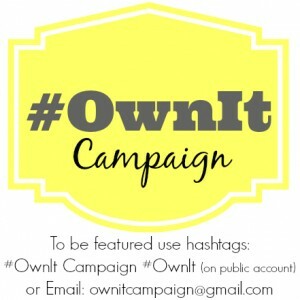 Use the hashtags #OwnItCampaign and #OwnIt to be featured or email ownitcampaign@gmail.com. **NOTE** It’s important you use the #ownitcampaign hashtag so we can search through that hashtag later to see your story. I was finally able to have my last surgery to repair the drop foot issue and I can now walk “normal” but not for too long. I own my scars today. I am lucky to have them!!! I love that you found me and I have someone I can talk to that really understands. That’s hard to find! Your story is so touching and inspiring. I feel like I could read it everyday that I feel a little down and that it would put me back on track. I find that we take a lot of things for granted and even walking is one of these major things, but I don’t wanna wait until I’m close to loosing it to start loving and apreciating it. Thanks to you today I feel thankful for all I have. And it makes me love even more what I love a little less about my body because it is part of me and it is working, at least and actually not so bad at all! You owned it and you help the world own it too. 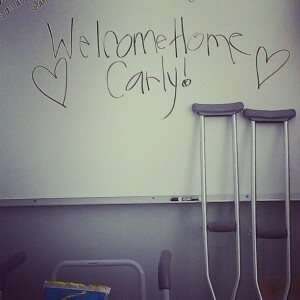 I will keep you in my heart Carly. Thank you so much for sharing your story with us. Thank you for this response Maude!